Dr. Captain is a highly experienced eye surgeon specializing in Refractive Lens Replacement (RLE) and Cataract surgery with Multifocal lens implant. 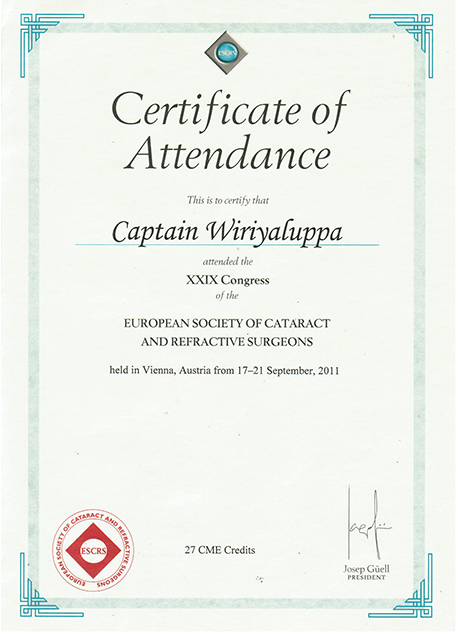 In 2010, He started perform RLE with Multifocal (Bifocals IOLs). With his dedication and efforts, many patients received remarkable outcome and most satisfied exceptional quality of life again. To date, he has performed more than 1,000 lens replacement procedures, both Bifocals and Trifocals Multifocal Lens combined. 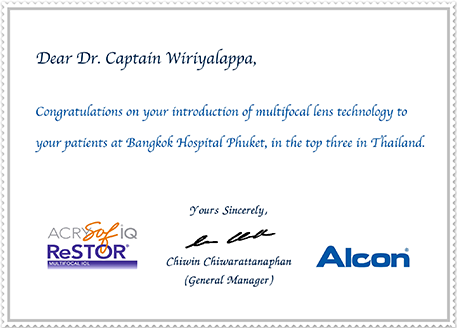 Dr. Captain was highly recognized among Thailand ophthalmologists a modern-generation ophthalmologist with broad and valuable experience in the field. 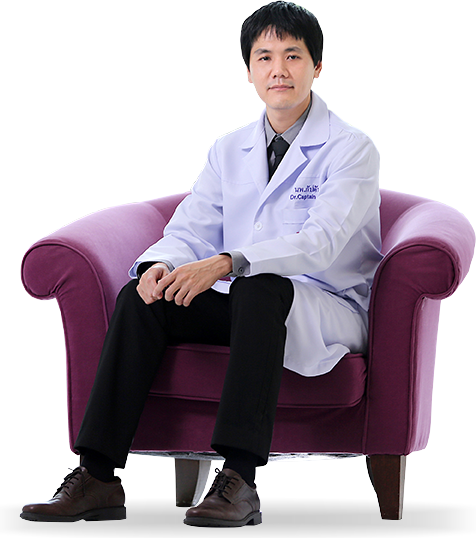 He has regularly been invited to deliver his lecture as a keynote speaker in various occasions, both Thai and International conferences, particularly in the area of technical and clinical excellent outcome. 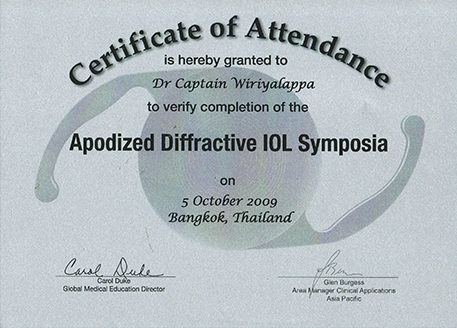 1 Oct 2014: Invited speaker: “The First Trifocal Diffractive IOL” in the topic “Trifocal IOL – Experience Sharing”, Venue: Renaissance Hotel Rajprasong, Bangkok Thailand: Thai-speaking language symposium.